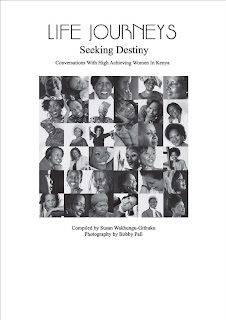 Wairimu Nyoike is a nurse and is currently a Patron of the Schizophrenia Foundation of Kenya. 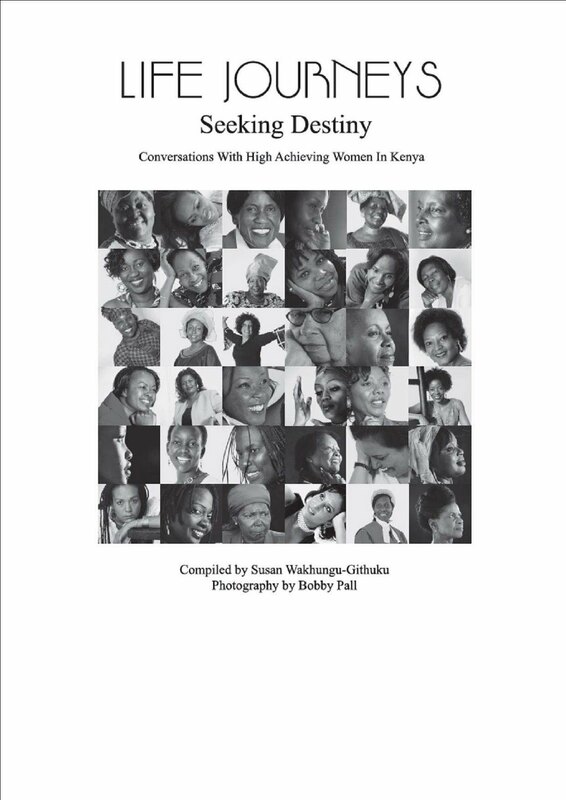 This is an excerpt from her story in "Life Journeys: Seeking Destiny" coffee table book, which profiles over 70 Kenyan women of substance. "As a young girl, my mother assisted her pregnant elder sister to deliver but she suffered a post-natal infection. According to Kikuyu custom of that time, it was a taboo to die in the house and my aunt died in a small hut away from the main homestead. Her body was left outside for the hyenas to eat. This incident greatly traumatised my mother and she refused to get circumcised and ran away to a Catholic Mission. She wanted an education and they placed her with a Christian family so that she could attend classes. Her father arrived with a delegation of elders to retrieve her and the missionaries could not keep her against her parents' wish. She had no choice but to subject herself to tradition, her hair was shaved and she was circumcised. My father heard about this brave girl and married her. She became his student and learned to read the Bible. To avoid any influence that might stop his family from obtaining an education, my father moved us to Muruguru. He swore that none of his children would be prevented from attending school. We were not allowed to roam around and as a result we never really integrated into the local community. His Christian beliefs and love of education meant he never pushed my sisters and me to get circumcised"
Asunta Wagura is an HIV/AIDS Activist who is the Founder and Executive Director of Kenya Network of Women Living with AIDS (KENWA). This is part of her story. "It was during my nursing training that I discovered my HIV status and this was the toughest period in my life. Doctors gave me only six months to live but by God's mercy I have survived and lived this long. At that time HIV/AIDS awareness was non-existent and very few facts on the virus were available. It bore a terrible stigma. I thought I would never be able to smile again but looking back, I realise that deep down I was still a very strong woman. I had only two options, accept defeat and give up or fight. I chose the latter. My father was a man who never took no for an answer and I must have absorbed his mantra of never accepting defeat or quitting without a fight." Nyota Ndogo (Mwanaisha Abdallah) is a renowned musician who was awarded Best Female Singer in 2005 and Best Taarab Singer in 2003. This is part of her unparalleled rise to fame. "My job as a house girl and my dreams of becoming a musician were my escape from the life my family led and from an early marriage. One day, I began to cry while washing the dishes. I asked God whether this was the way my life was always going to be, full of despair. I knew that I did not want to work as a domestic help in another house, this was to be the first and last. I wanted to sing. The very next Saturday, I was able to write five whole songs within two hours! Even the song arrangement came easily to me, and that is why I believe my music is a gift from God. My first song affirmed the presence of God. The song was called 'Kuna Mungu'...there is God."